Click here to download a Friends of Middleton band form. Here at Middleton Band we rely entirely on the support that the town and borough have provided the band since it was formed in 1876 and the continuing assistance of our supporters has been the driving force behind our success. When you make a donation to Middleton band or Middleton Youth band, you are supporting us with our running costs. It is surprising how much it costs to run both the senior band and the youth and training bands just for one year. With annual expenditure such as band room rent, instrument repair, music stands, new music, instrument replacement, uniform upkeep, contest entry fees, and transportation expenses, tuition fees, insurance premiums, to name but a few of the considerable outgoings. Both the senior and youth/ training bands welcome any donation, however small or indeed large! There are several ways in which you can easily support us below from no cost options such as using our search engine or shopping via our easy fundraising, to one-off donations and annual donation subscriptions which feature many benefits to our supporters. We also welcome those who may wish to make a voluntary monthly contribution towards the considerable costs of running our youth department. We also welcome those who may wish to make a voluntary monthly donation towards the considerable costs of running our youth department. Some of our biggest outlays are equipment and events expenses, why not make a donation for some equipment or a contribution towards one of our events? AmazonSmile is a website operated by Amazon with the same products, prices and shopping features as Amazon.co.uk The difference is that when you shop on AmazonSmile, Amazon will donate 0.5% of the net purchase price (excluding VAT, returns and shipping fees) from your eligible AmazonSmile purchases. Support us easily by making any Amazon purchases with Amazon Smile. Click the logo above to get started! Did you know that whenever you buy anything online - from your weekly shop to your annual holiday - you could be collecting free donations for Middleton Youth Band? 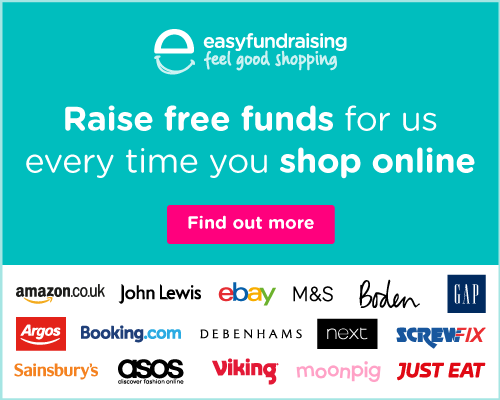 There are over 3,000 shops and sites on board ready to make a donation, including Amazon, John Lewis, Aviva, thetrainline and Sainsbury's – it doesn't cost you a penny extra! There are no catches or hidden charges and Middleton Youth Band will be really grateful for your free donations. Click the logo above to sign up now! Next time you 'search' the world wide web, why not use our very own 'easysearch'. It's absolutely free, there's no sign up and you can easily raise 1p per every two searches you complete for Middleton Youth Band. By using easysearch instead of Google or any other search engine, you can make a real difference. Easysearch is completely FREE and by making just 10 searches a day, you could raise around £20 a year for Middleton Youth Band. Click easy search the logo above to start searching and earning us some pennies! Firm Friends is designed to benefit corporate sponsors in return for donations to the band. We have put together some example suggested donation packages which we feel may benefit corporate sponsors. To discuss or apply for any of these packages or to speak to us about a bespoke package tailored just for you and your company or to simply advertise in any of our concert programmes, please get in touch with our Secretary@middletonband.com who will be delighted to discuss options and ideas with you.